Artist Michael Landy, who once destroyed his possessions in the name of art, has turned a gallery into a giant bin for the disposal of artworks. Over the next six weeks, hundreds of works by artists both famous and unknown will be dumped in the "Art Bin" at the South London Gallery. 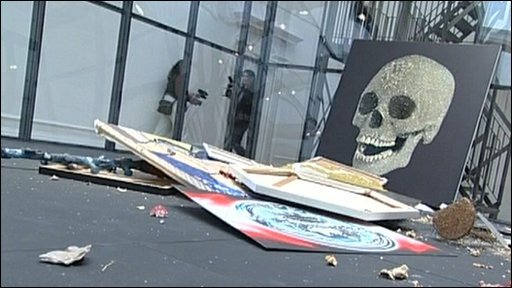 So far, pieces by Tracy Emin and Damien Hirst, have been thrown away.